Bring "Japanese Culture, Art, Design" to sustainable business model in Europe. - Creating concept, strategy and structure for Japan related projects and events. 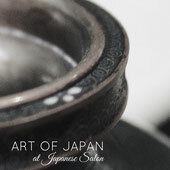 - Creating Business strategy for Japanese art, culture, design products. - Branding, Positioning of Japanese products in European market.